The Arabic language has been around for over 1000 years. Originating in the Arabian Peninsula, it was first spoken by nomadic tribes. As these tribes ventured out of the Peninsula, inter-marriages between Arabs and other nationalities spread the language even further, giving rise to the many Arabic dialects. After the Arab Conquests in 7th century C.E, the Arabic language made its way into Northern Africa, the Middle East and modern day China. Written (Classical) Arabic is said to have been derived from the Qur’an (Muslim’s holy book). It has servedas the basis of the Arabic language to this day. Classical Arabic, also known as “Formal Arabic” is the official language of the Qur’an. Modern Standard Arabic (MSA) is similar but much easier than Classical, with the addition of modern words and grammatical constructions. MSA is mainly used in everyday speech and in the government and media. Classical Arabic is considered more of a written language than a spoken one and is mainly used to learn the language in an academic way. The Arabic alphabet contains 28 letters. It also includes a few additional ones used when writing foreign words with sounds that do not exist in Standard Arabic such as P or G.
Arabic is written from right to left in a cursive style and each letter varies in shape depending on their position within the word. There are 4 different shapes for each letter (initial, final, medial or isolated) and 10 numeric symbols. The average number of shapes is 250 glyphs. page is usually flipped horizontally. There are 8 different spoken dialects widespread across different Arab countries. Someone from Egypt wouldn’t understand the dialect of a Lebanese or a Yemeni! MSA is used for communication between Arabs of different nationalities. Arabic may have different varieties but it is classified as one language! Alcohol	 Al-kuhul The fluid essence or pure spirit obtained by distillation. •Remember that Arabic is written from right to left. The exceptions are numbers which are written left to right. This makes translation difficult to master! •A 2000 word Arabic document might be translated into just 1,500 English words because the Arabic language has many words to convey the same meaning. For example, there are more than 11 words for “love”! •There are details that might cause grammatical errors like syntax, gender assignation, and the inclusion of pronouns in relative clauses. 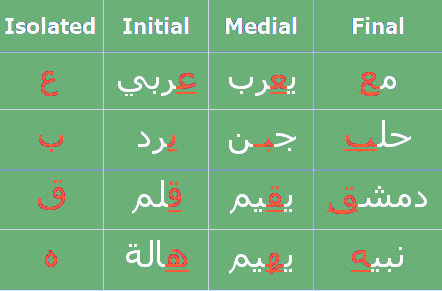 There are 8 main diacritics in the Arabic language, each representing a vowel sound. Diacritics are typed after each respective letter and every font type can affect their display. Diacritics change the pronunciation of a word and they can even modify its meaning and tense. Are you looking for high quality Arabic translation and localization services? Get in touch with Pangea! We’ll hook you up with one of our professional linguists who will provide you with accurate and reliable translations.